I recently received this blog post in my Inbox from a marketing expert that I follow for work. I have followed Julie through a divorce, some rough times, restarting her business and now excelling at what she is doing. Her personal story really resonates with me on a personal level. And of course, the article title, Leaving Scarcity Behind: How To Make A Large Purchase Decision With Abundance Based Thinking got my attention. As I continue to work to get on more solid ground financially and make wiser decisions. I hope to leave the “scarcity” behind and have a time of “abundance” – someday. Here’s my questions: for those of you who have been on this journey, have paid off all your debt, was their a mindset shift afterwards? 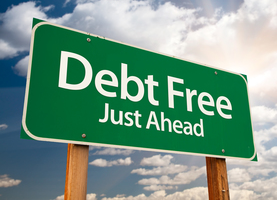 Not immediately…but as your journey away from debt continued? I already recognize that even though business is going well, and I am making continued strides toward being financially healthier, I still function with the mindset of “it could all fall apart tomorrow.” And it could, for sure. I know this, I’ve been there, and not too long ago. When the kids ask for something, I still answer with “we can’t afford that” or “we don’t have the money for that.” Which I know leaves them with the impression that we don’t have money still. And I know what I should be saying is “there are other places we need to spend that money right now” or “maybe down the road” or something like that. But really I am still very much in poverty mode. Every dime that comes in is accounted for in one form or another…whether it’s to pay a monthly bill or earmarked for a debt payment. And other than what I consider essentials…kids activities or trips to see my family, I really don’t consider any other expenditures. My immediate response “we don’t have money for that.” When the truth is, we do have a buffer now and I could allocate money toward that. Not that I’m planning to go that direction now. I really am 100% gung ho about getting debt free, especially these last two years while Princess is in high school. But will there be a time, after I am debt free and continuing to make good financial decisions, that I will start to feel safe again. When I will feel okay with spending money again? I can’t imagine every feeling comfortable joining an “exclusive club” like Julie mentions in her article or buying a name brand bag…those just aren’t my things. My temptation is travel and experiences with my kids, which I’m sure long time readers know. But now, the thought of any extra money going anywhere just feels back in my stomach. And even with a decent EF, I always feel poor. Does that make sense? I have a few thoughts on this: My DH switched from ‘we don’t have the money for this’ to ‘how are we going to pay for this?’. Emergency fund is an emergency fund. If it’s something you can say no to, it’s not an emergency. BUT – if you give up X from your budget for x number of months, you can then use that money for the thing you want that isn’t an emergency. And right now, even if you have an emergency fund and the business is going well – you still don’t have the money. If I remember your posts, you still have a negative net worth. 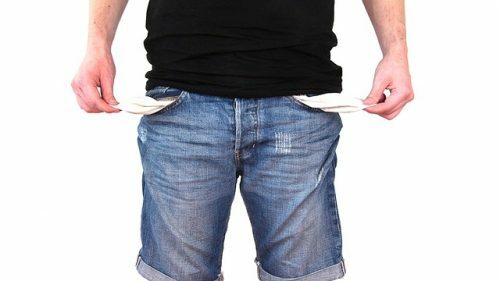 Even if you have an emergency fund, you are still in the negative. Making that switch for me was slow – after getting out of debt, I had a better idea of where I wanted to spend the money. It also changed my mindset – I liked having more in the bank and investments. It got to the point where I’d have to decide if spending money was worth the hit in the finances. BUT, it also left me at a stage where if it was something important to me, I could spend the money. I always figure out how I’m going to ‘repay’ that money into investments though. Don’t know if this makes much sense. Honestly, while this is a reasonable thought experiment, I think the threshold for having this slightly more “free spending” mindset is pretty high. Certainly way more than “doing better than breaking even and having an emergency fund” level. In the post you link to, she outlines her situation as “comfortably making more than they spend, NO DEBT, and 6+ months of expenses” saved up. That last bit is substantially more than an emergency fund, which is supposed to be for a true emergency. You are absolutely right. I am definitely no where close to this being even an option for me. But a girl can dream and work very hard to get to this place as well! After paying off my debt, my focus turned toward savings. First, a legit emergency fund. Not just six months of expenses, but six months of income. Then it was a matter of building up my “Savings to Spend” accounts. I had one bucket for things that were routine expenses and funneled everything extra over into a generic slush fund. This slush fund was basically my permission to myself to take an opportunity that presents itself, whether that is travel, a major life change, etc. The other major focus was on maxing out all tax advantaged accounts available to me to ensure I can retire someday and track toward financial independence. I don’t really want to retire early, but it is nice to know when I have enough cash and assets to take advantage of whatever life sends my way. The short of this story is that I still monitor my spending closely, because my long term financial independence is more valuable to me that most near term spending on extras.